The success of a modern salesperson relies heavily on the steady flow of quality leads. Reduced admin means that salespeople can spend more time on the essential sales activities and ultimately, close more deals. Here at OnePageCRM, we’re always on the lookout for tools to streamline the process of lead generation and lead nurturing. 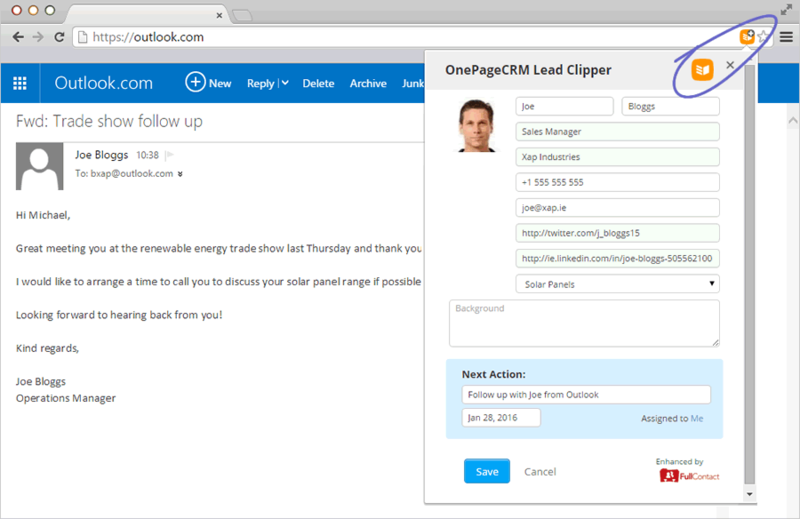 Today’s update to the OnePageCRM Lead Clipper saves time for Outlook.com (including Hotmail & Office 365) users and enables you to clip new leads directly from your Outlook.com inbox in just one click! Once the Lead Clipper is installed, the OnePageCRM icon is visible in the address bar when viewing an incoming email in Outlook.com (See image below). A simple click gathers any publicly available information which then can be tagged and/or assigned a Next Action before being pulled to your OnePageCRM account. 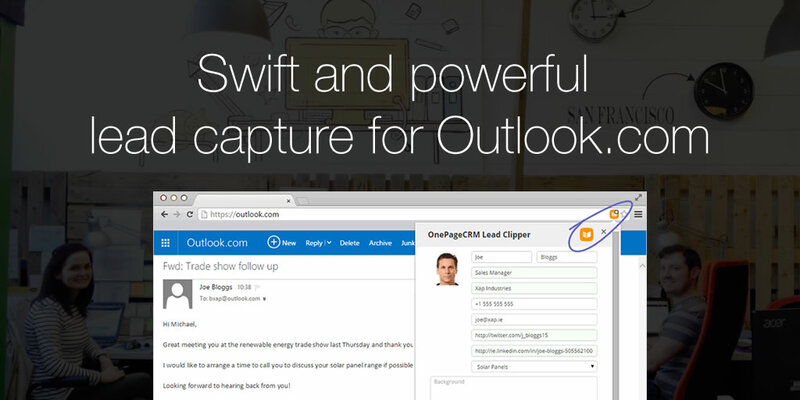 Outlook.com is just the latest addition to a variety of platforms that our Lead Clipper works with already including; Gmail, Xing, Facebook and Twitter.